As a member of the Abbott World Marathon Majors, the Bank of America Chicago Marathon is one of the six most prestigious marathons in the world. With a participant base of 40,000 people from 50 states and more than 100 countries, the Marathon has the challenge of building a community of passionate athletes from all walks of life. 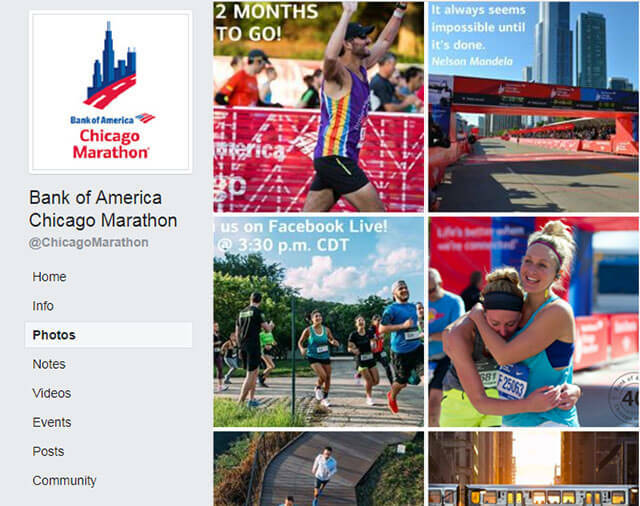 As the Marathon’s social media agency of record since 2012, TeamWorks created an in-depth social media strategy for each of the marathon’s three platforms (Facebook, Instagram, and Twitter), recognizing that each required unique content based on audiences and best practices in each channel. Following the development of the social strategy, we are producing daily content for the three platforms and engaging with their community, growing excitement for the event year-round. 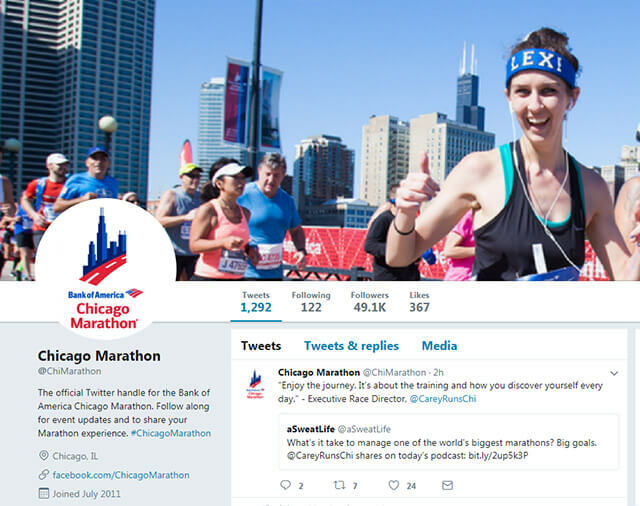 By developing friendly and inviting social accounts that focus on this (often) once-in-a-lifetime journey for participants, we built an extremely engaged social community that is highly invested in the Chicago Marathon brand. We introduced an enhanced video strategy to adapt to Facebook’s new video-first algorithm. New video content includes clips/GIFs of race weekend to excite participants, as well as Facebook Live events to provide them access to running coaches and experts. In order to connect with audiences on the platform, we gave the profile more personality by embracing trending hashtags, hosting Q&As and polls. 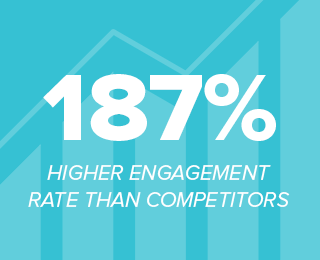 To harness the excitement of the running community and their affection for sharing race experiences, we developed a user-generated content (UGC) and influencer strategy to grow the Chicago Marathon brand. 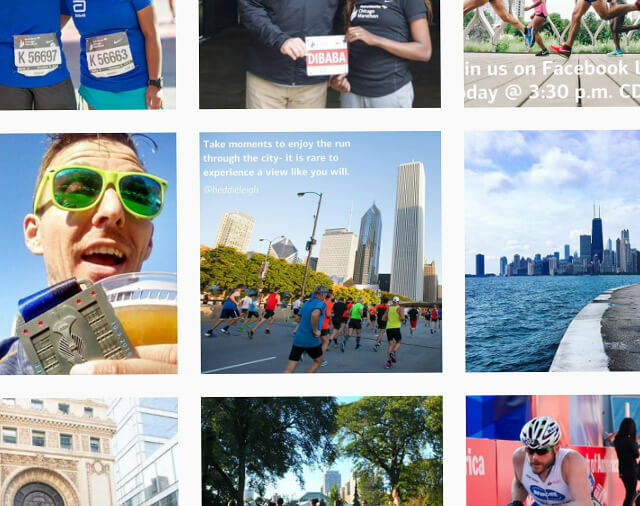 In one year of this strategy being instituted, the new UGC hashtag has generated more than 19,000+ pieces of organic Instagram content for the Chicago Marathon. Through the Marathon’s analytics, we were able to see that a significant portion of the race was made up of first time marathoners. 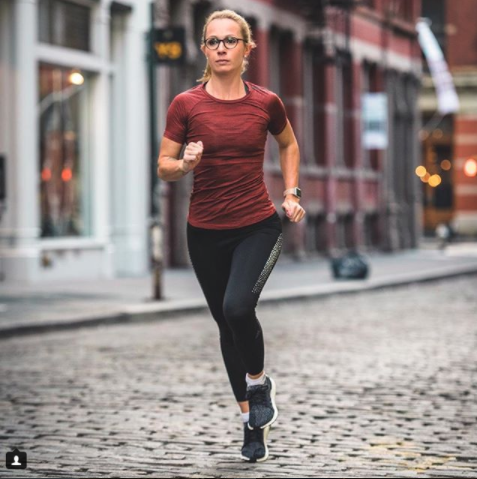 In order to keep feeding their pipeline of new first-time participants, we worked with hand-chosen Instagram influencers to talk about the idea of taking on a marathon to their followers. We ran this campaign in conjunction with a paid social strategy which brought more than 16,000 possible participants to the registration page (40% of their total goal). Grew Instagram followers 225% since last year’s race without paid support. The Instagram account has gained more than 27,500 followers since we launched it in August 2016. To learn about how we can help improve your social media marketing, get in touch with Katie [at] TeamWorksMedia.com.